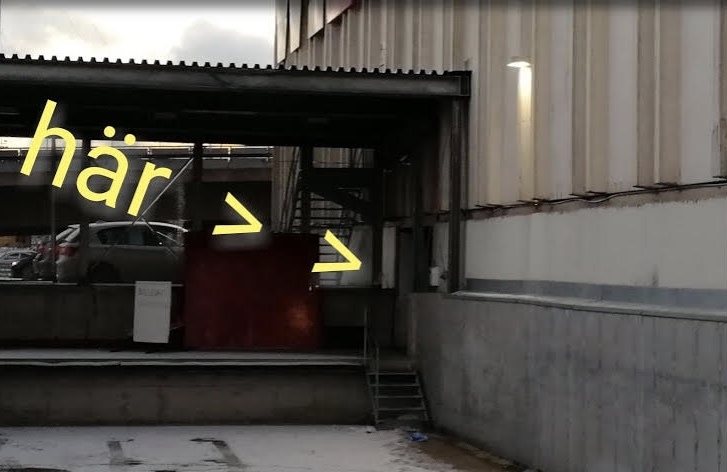 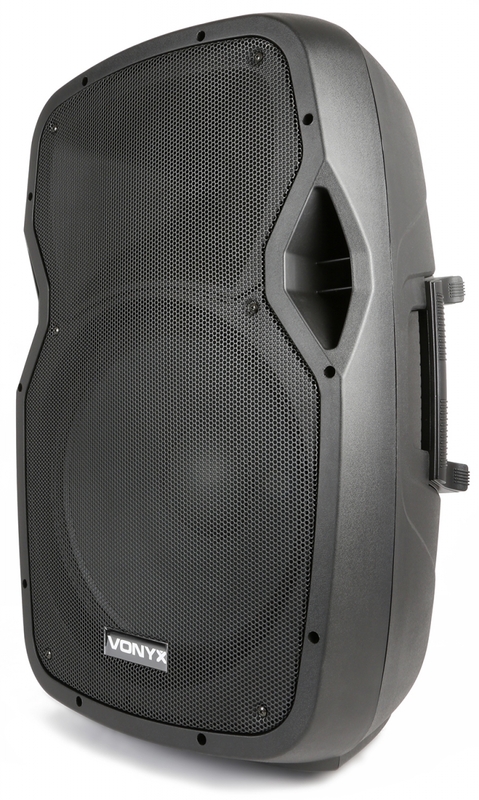 Start » Högtalare » Blåtandshögtalare » 800W blåtand med 4 mickar, laddbar, 15"
800W blåtand med 4 mickar, laddbar, 15" sub-bas, 21-funktions fjärr, se video. 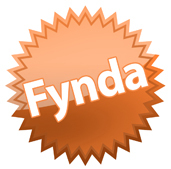 Video visar mindre modell. 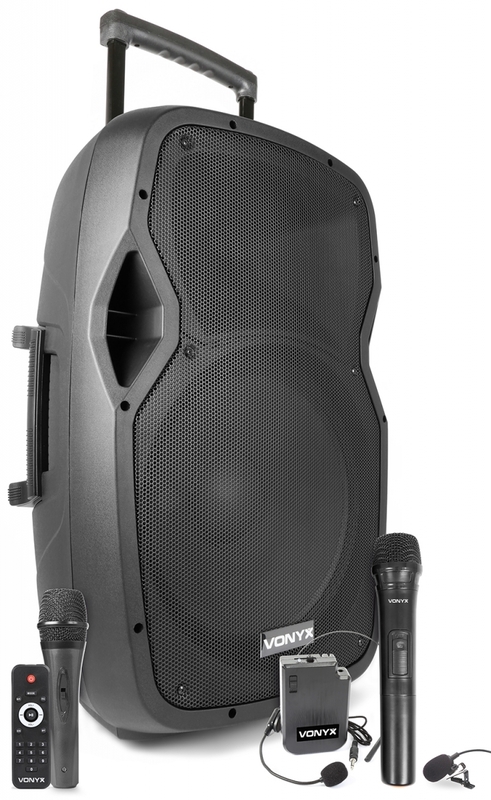 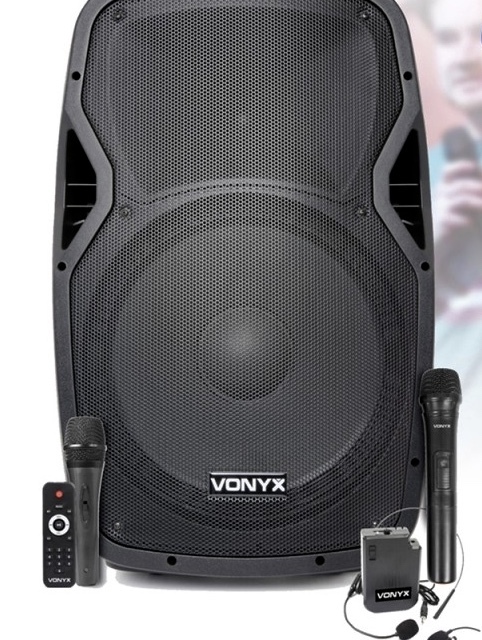 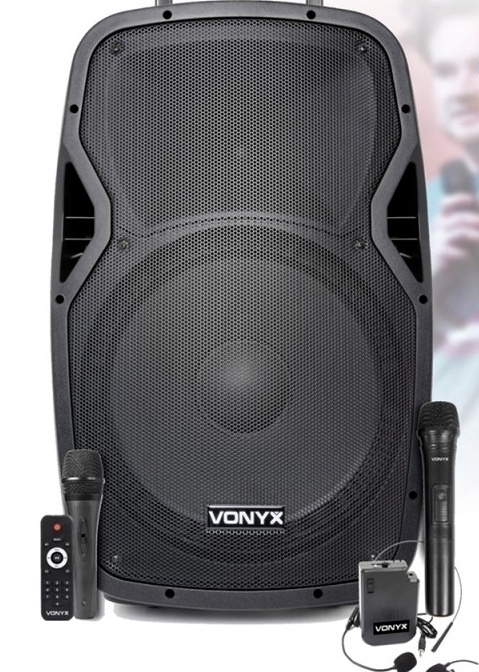 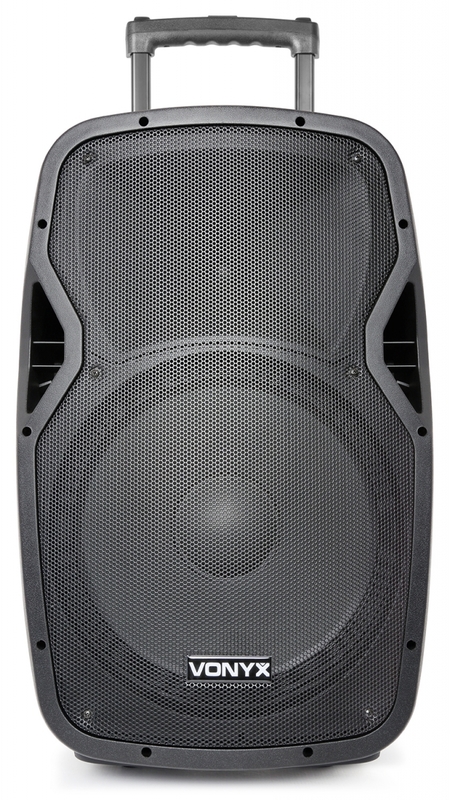 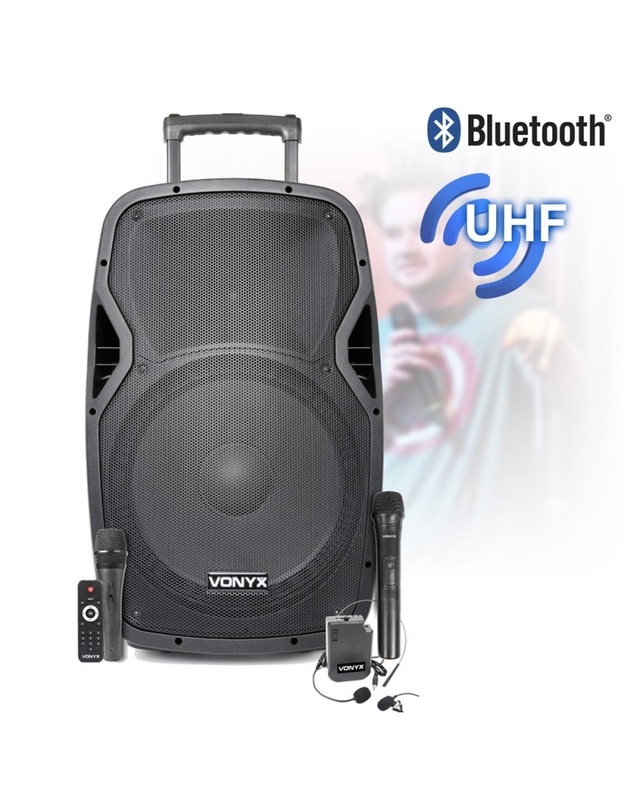 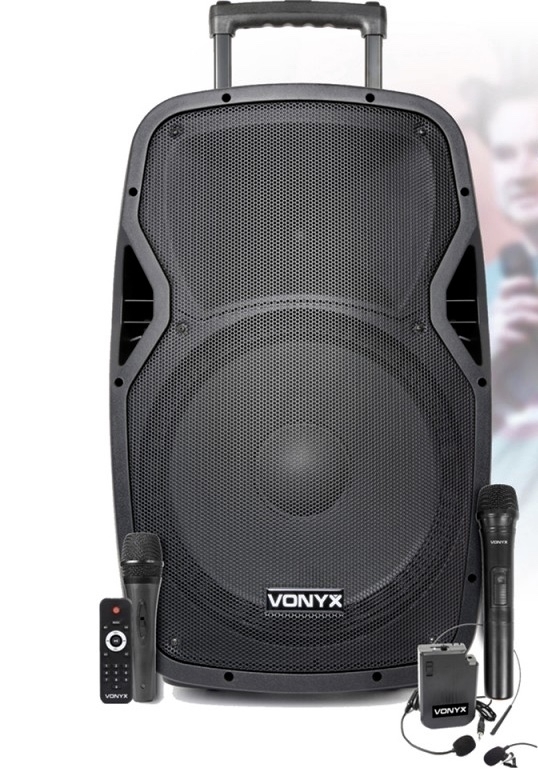 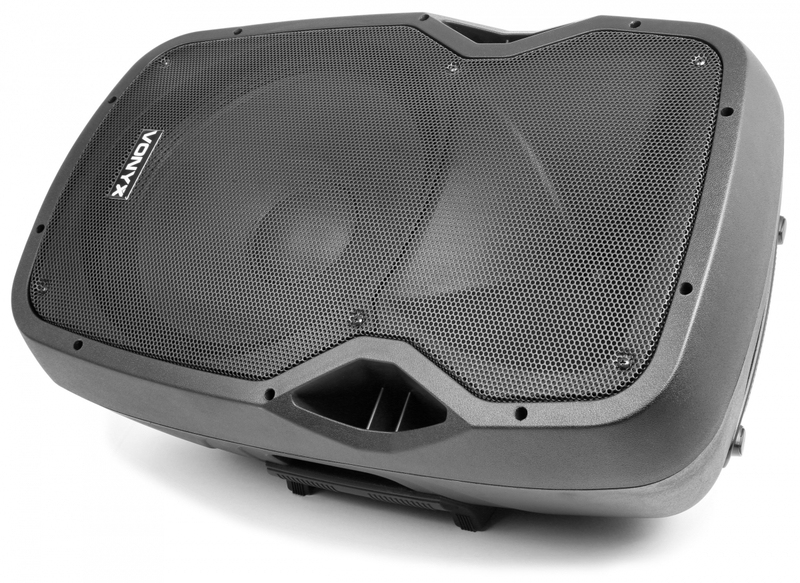 Professional 15" 800W Portable speaker with remote control, integrated USB port and SD slot for playing MP3 files. 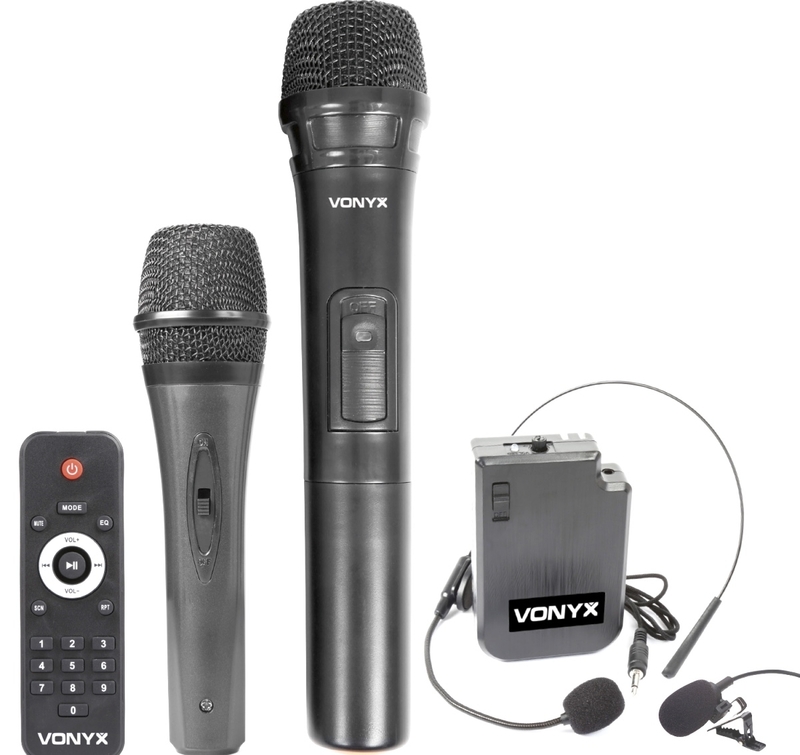 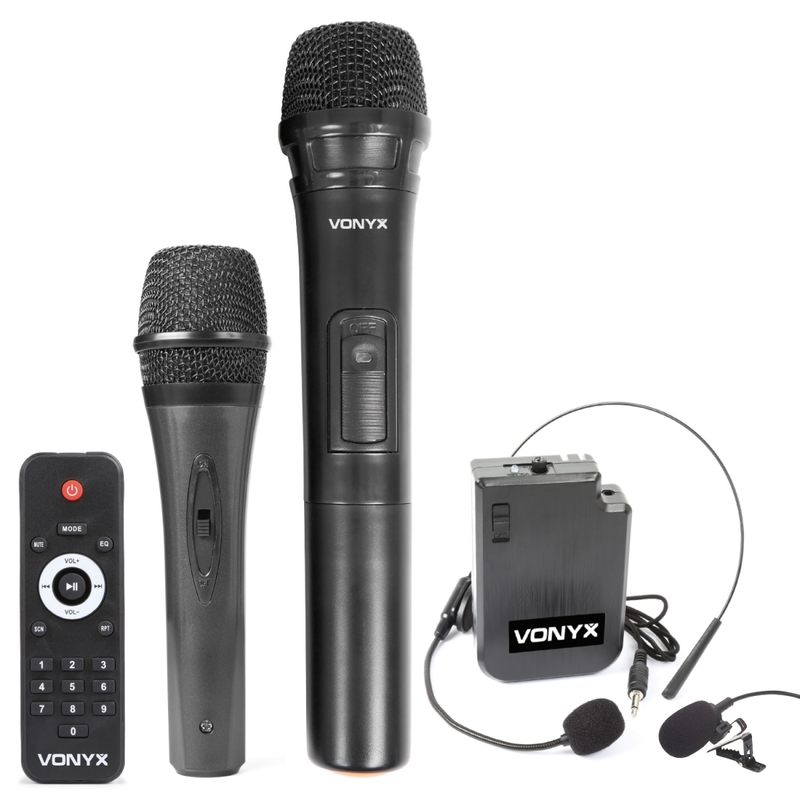 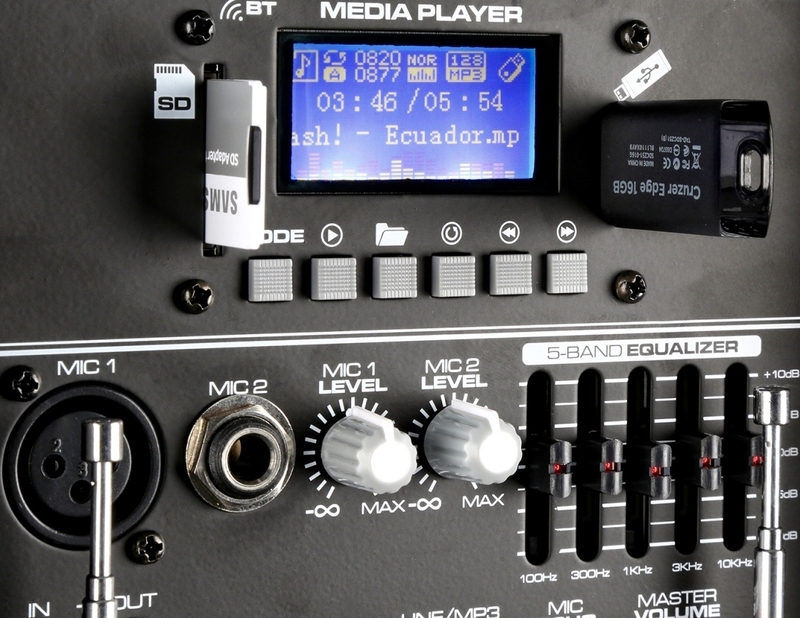 "All in one" system equipped with BT receiver for audio streaming and UHF wireless body-pack. 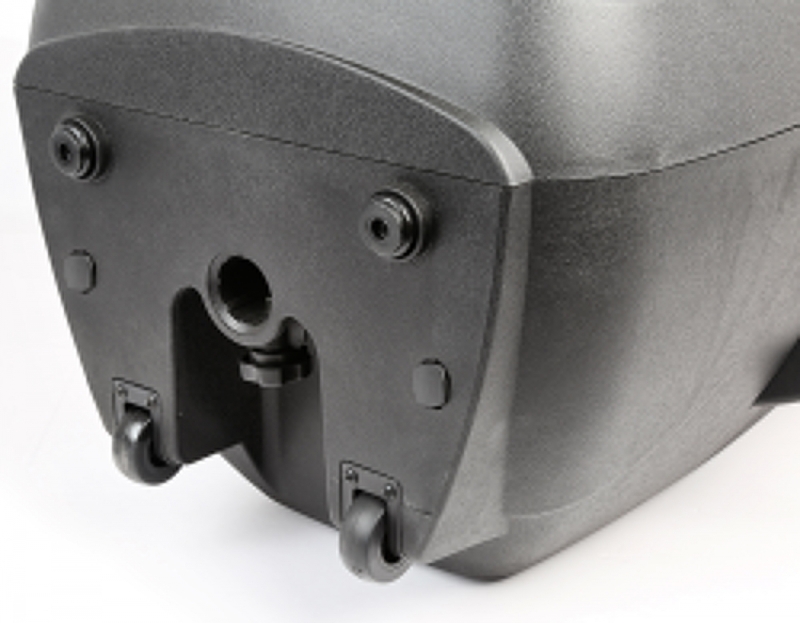 Operates via mains or 12V built-in rechargeable battery and can be used outside efficiently. 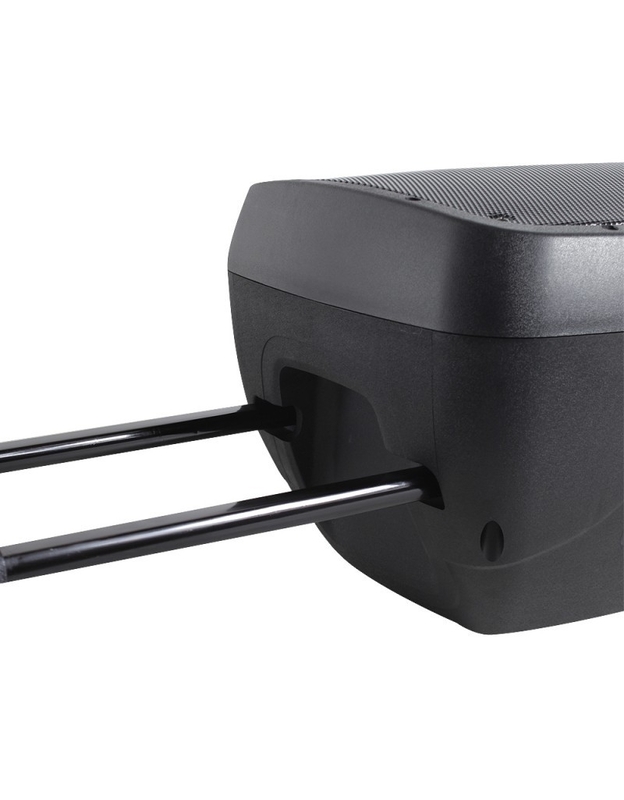 Comes with retractable handle and wheels. 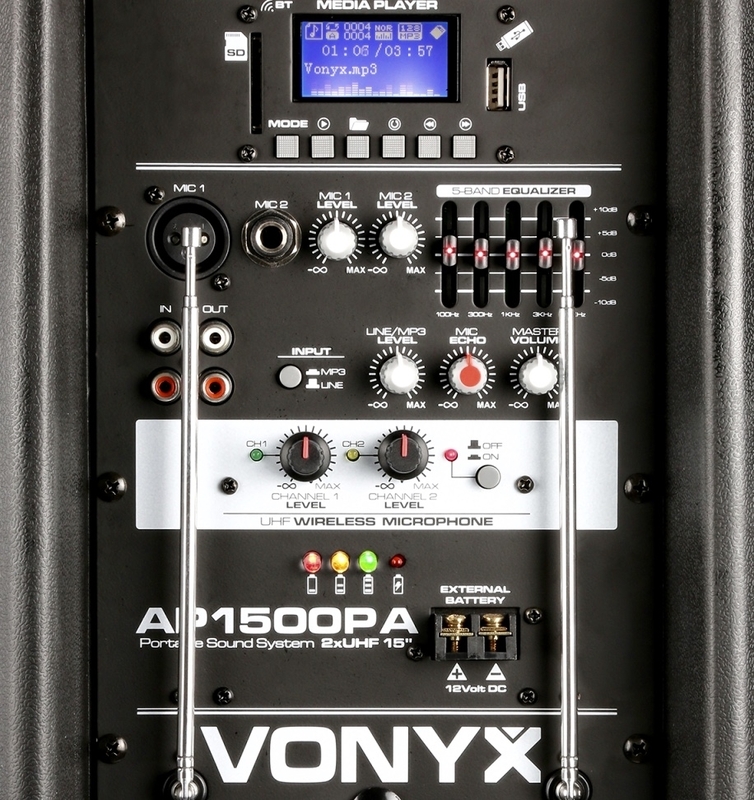 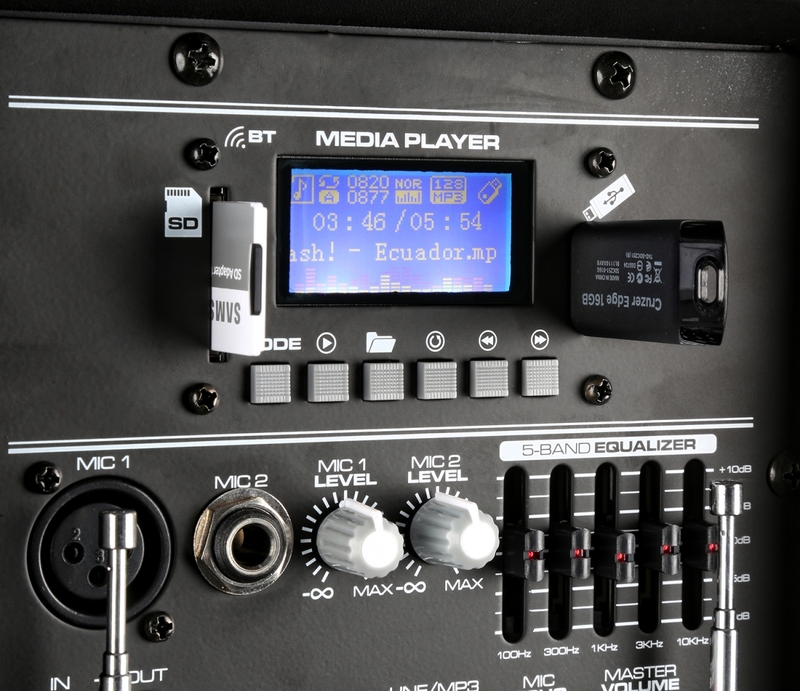 At the rear are two microphone inputs and echo effect for cable microphones, AUX line-input, MP3 control panel, controls for tone adjustment. 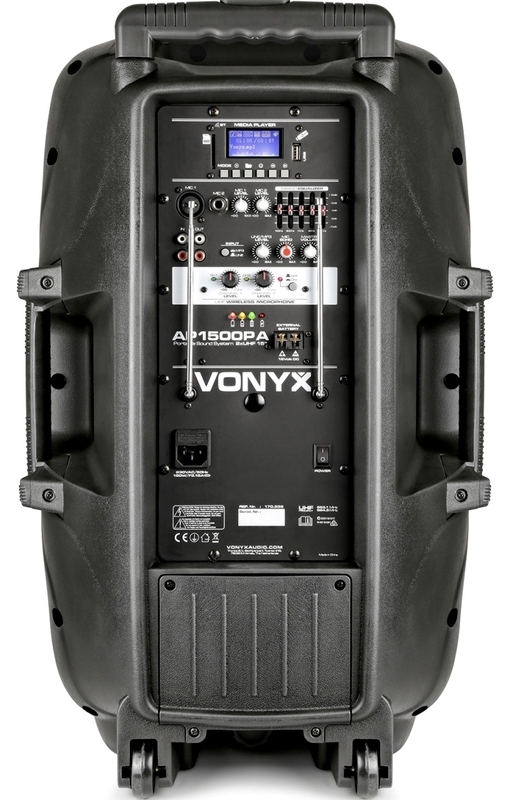 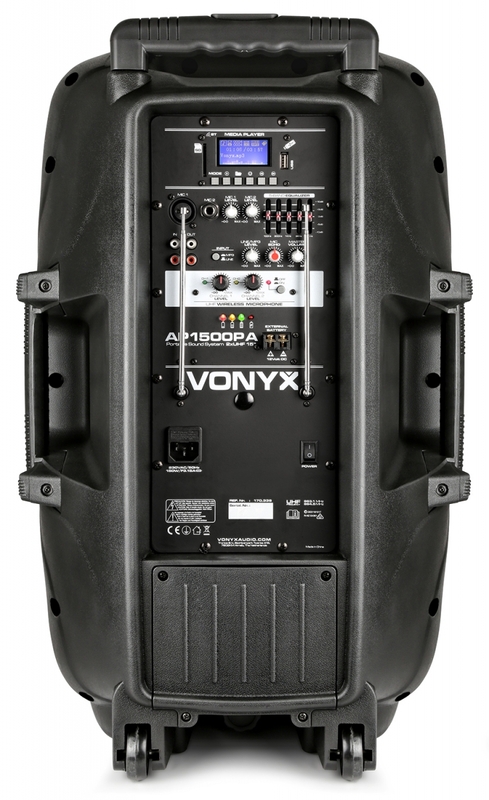 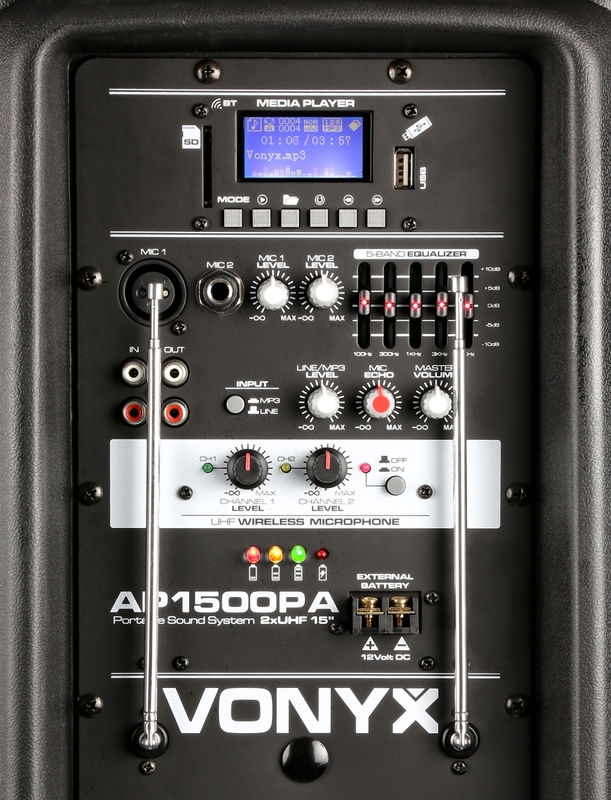 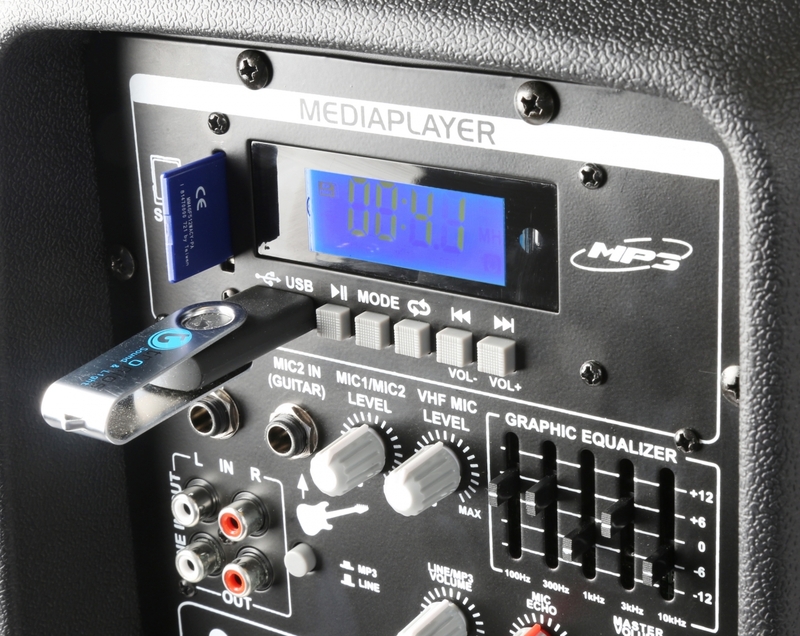 This complete system is indispensable where a good audio reproduction is desired.